Bill is a research scientist in the George Perkins Marsh Institute at Clark University, Research Fellow at the social science think-tank NewKnowledge, and former Director of the Masters in Animals and Public Policy (MAPP) program at Tufts University. The focus of Bill’s work is the ethics of sustainability with an emphasis on animals and alternative paradigms of conservation (e.g., compassionate conservation, rewilding, social nature). Schooled in ethics, geography, and political theory, his interdisciplinary approach examines why and how we ought to care for nature and society. Sustainability is more than preserving a global elite’s lifestyle or ensuring humanity’s mere survival in an era of rampant environmental change. At its roots, it is about sustaining the well being of people, animals, and nature across the planet, now and into the distant future. Sustainability needs, therefore, to be both scientifically and ethically sound. Its facts and values need to be transparent and accountable to society, while its goals must serve the good of the entire community of life. With this understanding in mind, Bill explores the moral norms of ecological and social sustainability. He is particularly keen on public scholarship that brings academic insights to the wider public without unnecessary jargon or impenetrable theories.Some of the topics he has addressed includes wolf recovery, outdoor cats and biodiversity, barred and northern spotted owls, the Canadian seal hunt, cosmopolitanism, the Earth Charter, precaution, rewilding, sustainability science, and urban ecology. 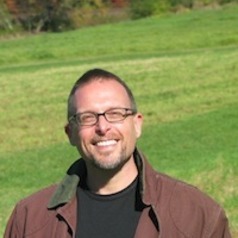 Prior to Clark and LMU, he was a professor at Green Mountain College, Tufts University, and Williams College. There he taught courses in animal studies, environmental studies, ethics, human geography, qualitative research, and public policy. He is also a founding editor of the international journal Ethics, Policy and Environment (formerly Ethics, Place and Environment), former chair of the Ethics Specialist Group of the International Union for the Conservation of Nature (IUCN), an International Associate of the New Zealand Centre for Human-Animal Studies, and an author or contributor to many journals and books. Finally, Bill serves as an ethics consultant helping civil society and governments make better policy decisions. Services include ethics advising and training, expert opinions, research briefs, meeting design/facilitation, ethics messaging and marketing, and keynotes on ethics with respect to organizational leadership, mission, and programming.